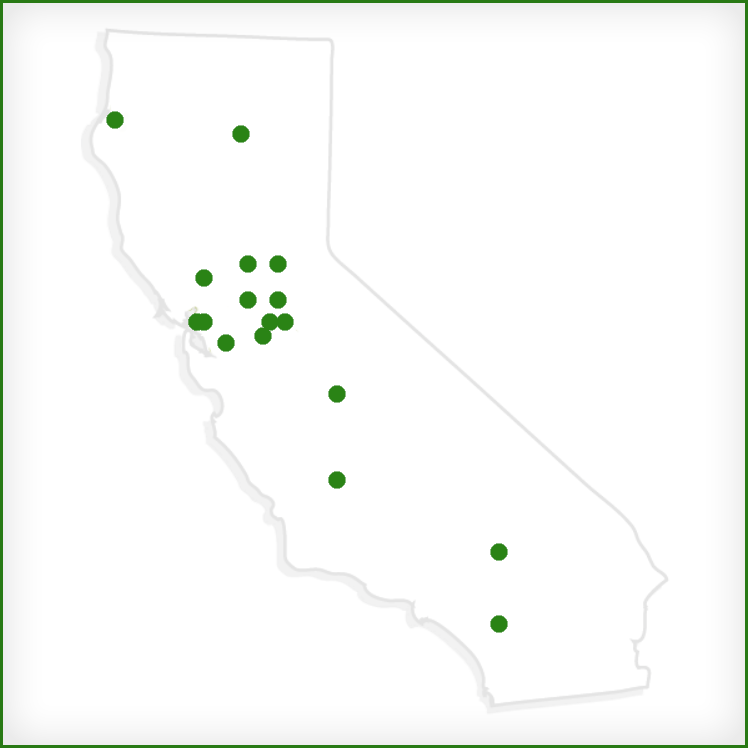 Crestwood Behavioral Health Inc. serves virtually all of California’s counties in facilities throughout the state. We offer mental health clients and their families a continuum of care and treatment, from traditional psychiatric services to innovative recovery programs, geared towards community reintegration. We operate all our facilities on the basic premise that mental health issues are treatable. Our Mental Health Rehabilitation Centers (MHRCs) provide psychosocial rehabilitation programs in secure, residential settings with a focus on brief lengths of stay. During their residency, clients participate in independent life skills training, behavior intervention, vocational and pre-vocational training, self-advocacy, peer counseling, case management and Crestwood’s Wellness Recovery Action Plan program and Dialectical Behavior Therapy. Crestwood’s Psychiatric Health Facilities (PHFs) are dedicated to providing acute psychiatric services in the most empowering hopeful manner, honoring the principles of recovery. The therapeutic environment is restorative and homelike, with warm colors, welcoming rooms, sitting areas and living rooms to provide a soft place to land at a time of greatest need and deepest crisis. We rely on evidence-based practices including Dialectical Behavior Therapy (DBT), Cognitive Behavioral Therapy (CBT) and Wellness Recovery Action Plan (WRAP). We are dedicated to employing the least coercive measures, while providing a serenity room, weighted blankets and quiet space to self-soothe. With a focus on life skills training, linkage and community engagement, Crestwood’s Adult Residential Programs serve adults in community-based residential settings. Clients benefit from extensive life skills training, peer counseling, case management, behavioral self-management, community residential treatment systems, and Crestwood’s Wellness Recovery Action Plan program. Crestwood Crisis Stabilization Unit is a program that is based in a recovery-focused environment where children, adolescents and adults in crisis are welcomed into a calm, warm, compassionate environment so that they may be assessed and provided mental health stabilization services, medication evaluation, management and linkages to a wide-range of outpatient and inpatient mental health services. Crestwood’s Crisis Residential Treatment (CRT) Programs provide a voluntary, short-term safe place to land for guests experiencing a psychiatric crisis. Our guests are greeted into a warm, homelike environment and we provide them with a variety of recovery-based tools such as Dialectical Behavior Therapy (DBT), Wellness Recovery Action Plans (WRAP) and Trauma-Informed Approaches to help them to manage their symptoms and develop skills to live effectively in the community. The clinical treatment team is comprised of people with lived experience, who are trained and certified peer providers, with a wide-array of clinical expertise. Our guests are also encouraged to utilize our Dreamcatchers Empowerment Network program that provides pre-vocational job skills training. Creating a warm, homelike program for the elderly is the goal of our Residential Care Facilities for Elderly (RCFEs.) Crestwood’s RCFEs support independence, while providing health and wellness programs, managing both physical and behavioral problems, and promoting integrating into the community. Crestwood’s Skilled Nursing Facilities (SNF) /Neurobehavioral Programs meet the needs of California’s geriatric population, and individuals with organic disorders and neuro trauma. These facilities offer a range of services including intensive nursing, rehabilitation, neurobehavioral support, behavioral management, Dementia and Alzheimer’s care, and person’s centered care – all within a secure setting. Crestwood’s Skilled Nursing Facilities (SNFs) /Special Treatment Programs (STPs) provide skilled nursing services to people who may have a primary medical diagnosis and secondary behavioral issues. Special Treatment Programs are smaller, separate units that provide treatment to people with primary psychiatric issues and may also have underlying medical issues that require skilled nursing services. These programs offer behavior modification, individual plans of care, specialized groups and activities designed to promote the highest level of functioning, along with Wellness Recovery Action Plans, enhanced nursing staff and interdisciplinary teams. The Crestwood Wellness Clinics provide onsite certified health services. These mental health outpatient services include physician services, medication management and education, licensed nursing services, case management and specific outpatient individualized and group rehabilitative services. These services are provided to individuals preparing to transition back to independence in their communities.